Aloha! My name is Leilani Ramirez and welcome to my site. I’m a sound designer for video games by day and a self-taught photographer in my free time. Along with capturing the aural realm, I fell in love with capturing the visual realm. Sound is my first passion and photography didn't come until later in my life. I was always surrounded by it because of my dad. He owned a few Pentax SLRs and was always snapping shots and continually had a keen interest in photography. Personally I've always been interested in art and really enjoyed taking classes which got me into drawing, composition and the simple appreciation of it. I didn’t become attracted to photography until I went on a trip to Australia and took my little point and shoot. I snapped some photos, printed them and showed them to family and friends; turns out they had some really good things to say about it. It was then that I noticed that I might have something up my sleeve. I slowly invested in digital cameras and continued to shoot on film to learn many of the basics with my dad’s Pentax SLRs along with a great Minolta camera that my uncle gave me; all of which I still have in my possession. My first official digital SLR was a Nikon D70s. I dove into digital photography and fell in love with the technical advantages and continue to broaden my artistic side as well. Today my cameras and recorders come along with me on every trip and excursion. 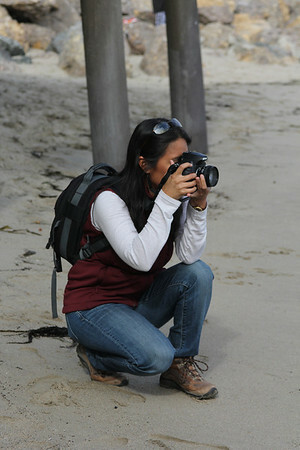 I’ve primarily focused on travel photography, landscapes and macros. Each day I’m learning new things and I hope to continually improve my shots. My latest cameras are a full frame Nikon D700 and a Nikon D7000 with an array of various lenses. I simply want to share my life experiences through my photography and sounds, and to bring the world a bit closer to those that haven’t explored enough. ** Photos of me taken by my niece Kristel Yoneda.